What do you do if you love art but live on a starving artist’s budget when it comes to decorating your home? Make it yourself! 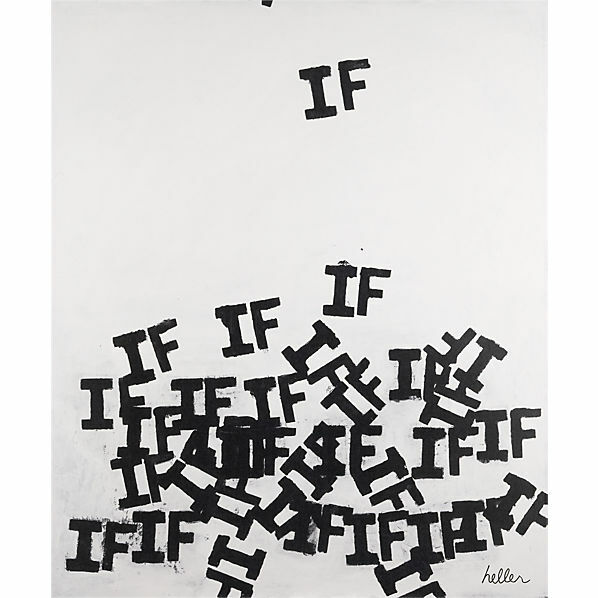 I am very inspired by this “Falling Ifs Print” at CB2 but at $199, I think I could probably make something similar myself using a blank canvas (usually on sale at Michael’s), paint or marker, and stencils (or even freehand if I was feeling adventurous). The word “if” is a powerful one, full of possibilities. When I see this, I like to think of encouragement to live in the “What If” of the future rather than the “What If” of the past. Wouldn’t this be fantastic hanging in your office? There are certainly other words out there that are full of possibilities and hope — maybe LOVE for a bridal shower, or random letters or numbers to decorate a kid’s room. Endless options!